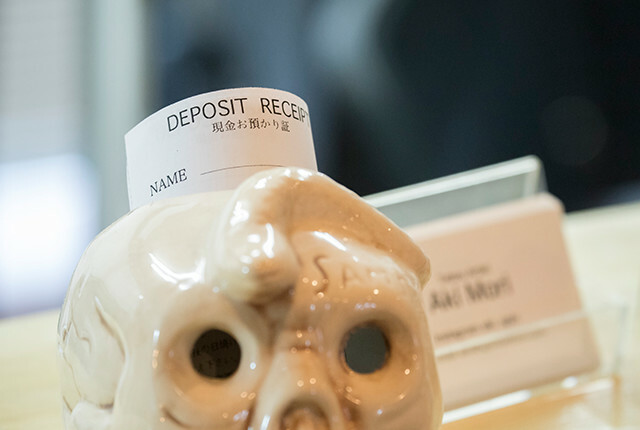 SPIN TATTOO is a tattoo studio located in Meguro, Tokyo. We create original tattoos to satisfy all our clients’ request. We welcome any inquiries and consultation, so do not hesitate to drop by our studio. 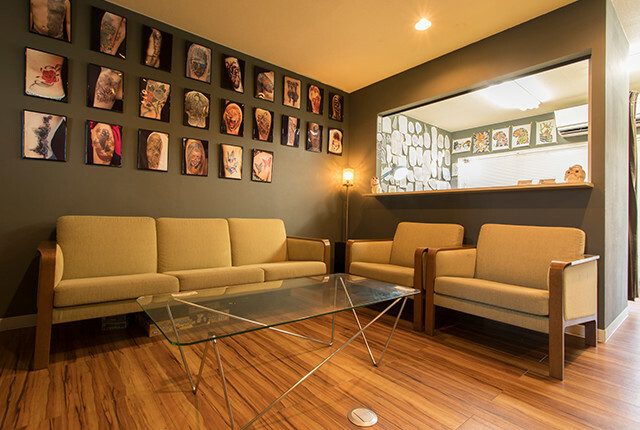 Our tattoo artist offer thorough counselling in our friendly studio. Even a first visitor will feel at ease with our professional and reliable services. Before the inking process, we will conduct a detailed discussion to finalize the design. 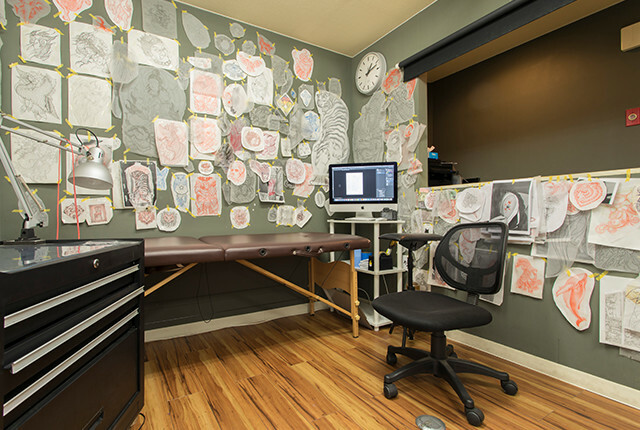 We will produce a completely original image based on your desired design, size and tattoo location. Bringing your own design is fine as well. 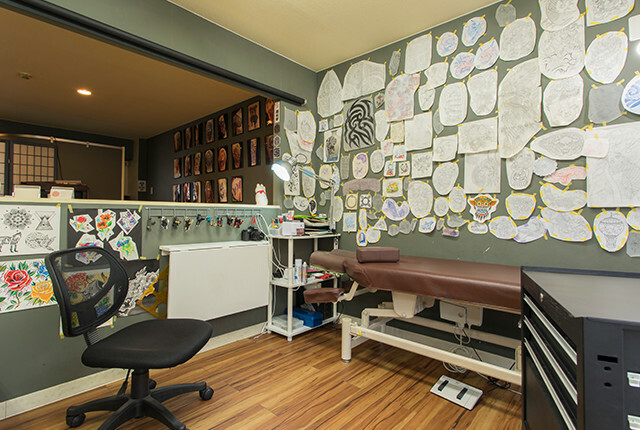 Upon your counseling session, we will provide an exact quotation for the tattoo. It takes about 2 to 4 weeks for your new tattoo to heal. During the healing period, please follow our aftercare instructions. 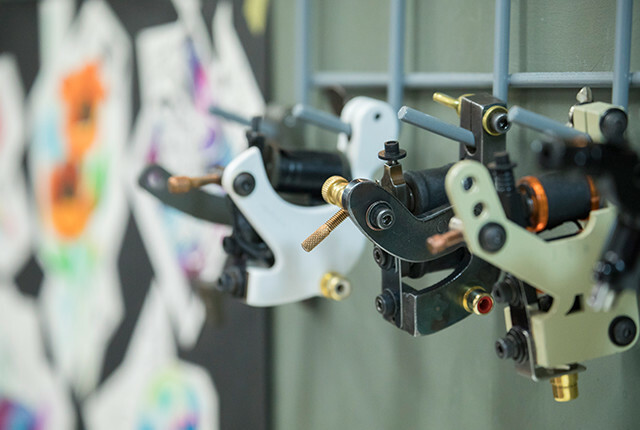 We will explain the aftercare steps after you have finished getting inked. Neglecting proper aftercare may cause your tattoo to fade quickly. Once your tattoo has healed, and you realize that its color has faded significantly, please contact us. Tattoo touch-ups are free of charge. The equipment (needle, ink, ink cap, gloves, razor) we use during the inking process are all for one time use only (non-reusable). The inking instruments (tube, grip) are cleaned and sanitized in our ultrasonic cleaner and autoclave machine. We will not provide services to minors under the age 20. We will not provide services to members of gangs/mafias or anyone affiliated with the organization. 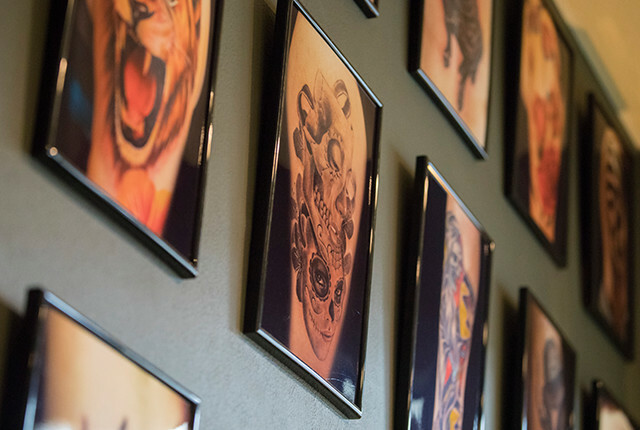 You will need to provide proof of identification with an attached photo when making a tattoo appointment. Please have adequate rest the day before your procedure. Do not consume any alcohol on the day on your appointment. Please notify us beforehand if you have any chronic or infectious diseases.